There are many valves used in rocketry, ranging from tiny gas pressurization solenoids to massive butterfly valves. In the field of small liquid rocket engines their are 3 main choices for actuated valves: solenoid valves, ball valves, and poppet valves. Each of these valves is useful and interesting and will get a post of its own in the future. Right now, lets just go over the basics. Solenoid valves – The most basic of valves, pretty much make a electromagnet to lift a seal off of an orifice. It is technically a poppet valve, but I classify direct acting solenoids as a different class. These valves are simple, require only power to work, and are readily available in many sizes. But they are relatively large and heavy, especially once your pressure is high or you need a large flow rate. Pretty much the best choice if your orifice is <0.125″ diameter. 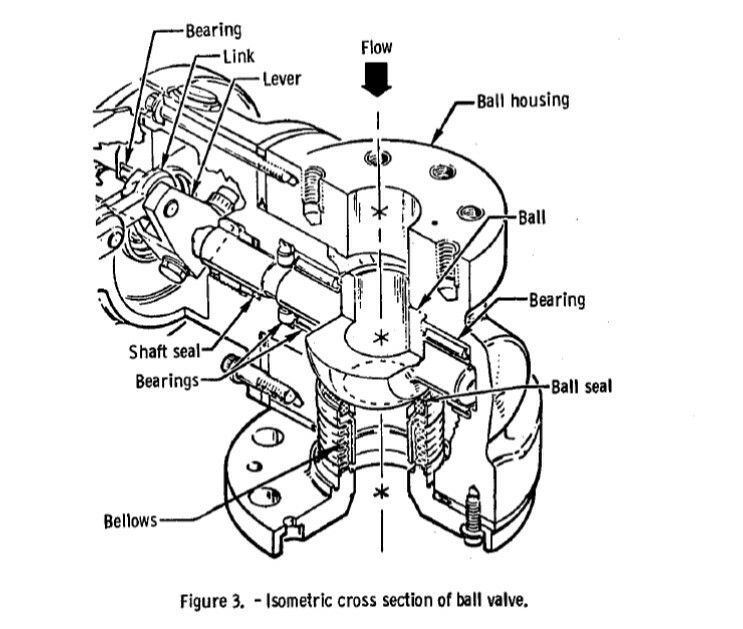 Ball Valves – A sphere with a hole though the middle – align the hole for flow, 90 degree turn to stop flow. These are the workhorses of valves, due to the fact that they are robust and, in the 0.25-3″ orifice, they are the lightest, most compact valve for the size. For most moderate sized rockets (i.e. between 200-50000 lbf), this is probably the main valve for you. 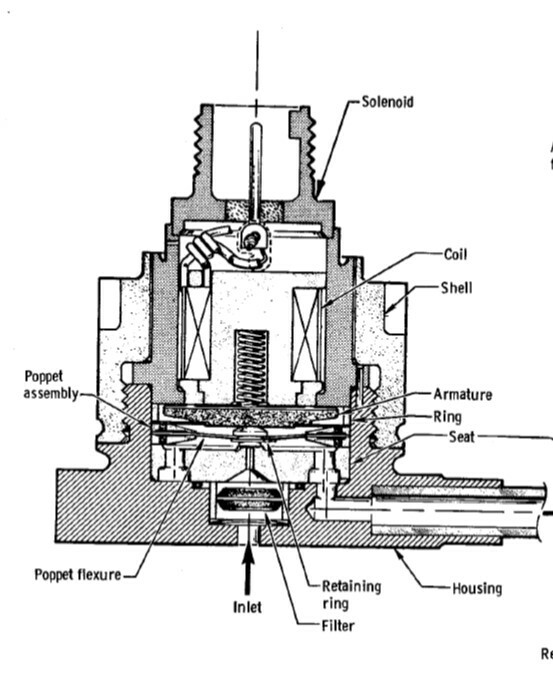 Poppet Valves- A seal that is lifted off an orifice with a number of actuators, usually pneumatic, hydraulic, or electrical. These are simpler than ball valves, but they have an inherent 90 degree turn at the orifice. They are used in larger valve (6-10″ orifice) and balanced poppet versions are used for high pressure. These valves are also probably the easiest to make from scratch so they are quite popular with small amateur rocket groups. The current plan for Earendel is a poppet valve that uses a pilot solenoid as an actuator. We will go over the specifics on Friday.